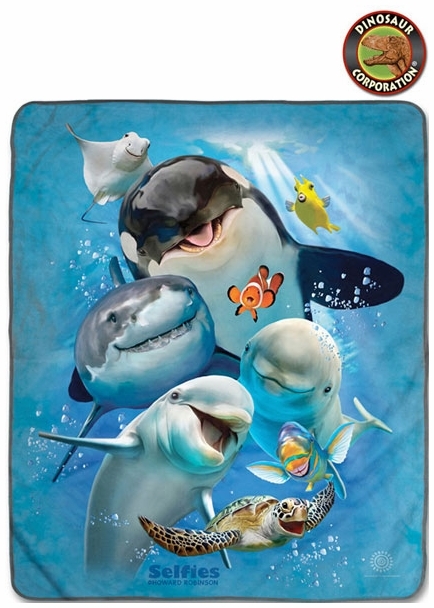 We have a large selection of Dolphin Blankets at Dinosaur Corporation! You will find top quality Animal Blankets with many designs of Dolphins. Premium fleece blankets are made of a revolutionary material called pixel fleece. * Two sizes: 50" x 60" and 60" x 80".